I previously mentioned that I was excited to compare Windows Autopilot with System Center Configuration Manager (SCCM). 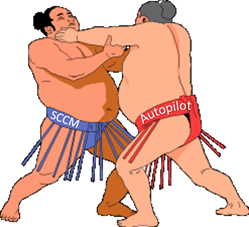 Well, we finally have more details about Windows Autopilot and I’m finally able to give you a comparison of Autopilot and SCCM for Windows 10 deployments. This is a Light Touch deployment requiring physical access to each device. It is well suited to small remote offices or a small staging area without OSD infrastructure (Distribution Points etc.). This is a Light Touch deployment requiring physical access to each device to enter PXE boot – This can be made Zero Touch if the boot order is set to PXE first however, this is not a sustainable configuration. It is well suited to a large staging are or small remote offices with OSD infrastructure (Distribution Points etc.). This is a true Zero Touch deployment that can be used a Self-Service option as well as a scheduled mandatory deployment. It can even be coupled with Wake-on-Lan to target devices that are powered off (but still connected to the network. This is well suited to upgrading or refreshing large numbers of devices currently in use as it requires that each device is already managed with SCCM. InTune has been evolving rapidly over the last few years and has been able to provide much of the same functionality as SCCM such as hardware and software inventory, application management, software updates etc. The one feature that missing was OSD. Coupled with Windows Autopilot, Microsoft InTune is a credible end-to-end lifecycle management platform for many use cases that requires no on premise infrastructure. While it cannot service all of the use cases that SCCM can, it can save time and money for organizations where it is a good fit. Colin Smith is the Manager of the Microsoft Solutions Practice at Cistel Technology Inc. , a Microsoft Gold Partner headquartered in Ottawa, Canada. Colin is a frequent author and presenter. He is also a dual Microsoft MVP. He is an MVP for Enterprise Mobility (formerly System Center Configuration Manager) who has been working with the product since SMS version 1.0. He is also a MVP for Windows and Devices for IT. In 2017 he was awarded the Windows Insider MVP designation as well. He has over 25 years of experience deploying Microsoft-based solutions for the private and public sector with a focus on mobile, desktop, cloud and data center management.